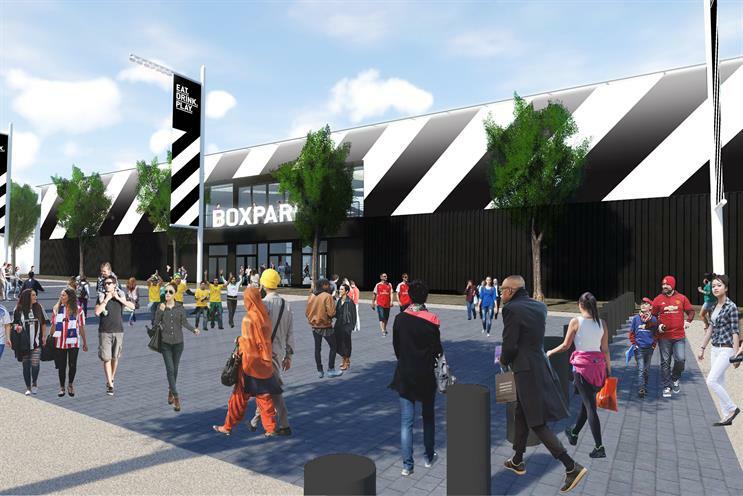 Boxpark, the pop-up food and retail site, is launching its third site in Wembley. The new location will open in late 2018 in Wembley Park and will feature a "bespoke building design". It will have 29 units for established and independent businesses, and host live music, events, talks and workshops. It aims to put on more than 200 events a year. The space will also have a 2,000-people capacity events area, as well as a smaller space designed to hold 300 people. Boxpark opened in Shoreditch in 2010, and in Croydon last year. Roger Wade, founder and chief executive at Boxpark, said: "Boxpark Wembley is located in an iconic location, on Olympic Way in Wembley Park. "We look forward to working closely with Quintain [which owns Wembley Park], Brent Council and the other venue operators on the site, to develop a world-class food, drink and entertainment destination, and possibly the best fan park in the world."